Astral Spirits is proud to present another chapter in the Ballister catalog — following 2 self-released CD’s, as well as acclaimed releases on Clean Feed and Bocian, AND an upcoming release on Rempis’ own Aerophonic imprint. 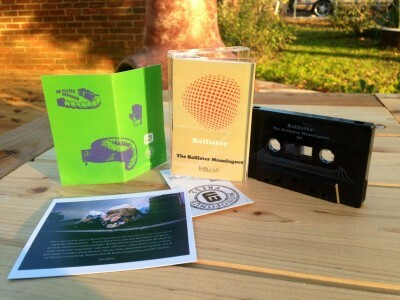 “The Ballister Monologues” (AS005/MF080) is their first TAPE release & captures Ballister live in Austin, TX in the spring of 2014 playing for a cozy crowd on what would be their last show of a US tour. The playing is rugged and muscular, yet they aren’t one dimensional, the jagged edges are smoothed out by their turn-on-a-dime interplay. This tape is indeed a monologue of the singular sound that Dave Rempis, Fred Lonberg-Holm & Paal Nilssen-Love have created over the course of the last 5 years. As fans of the music will recognize, this is inevitably a hard-hitting group. The unabashed energy of Rempis and Nilssen-Love, coupled with the electrified cello antics of Lonberg-Holm, make for a powerful listening experience that combines driving grooves with noisy textures and occasional melodic interjections. These sliding and overlapping rhythms often give the music a feeling as if a rug is slowly being pulled out from underneath the listener while the music still maintains a strong forward momentum. Reference points include the Julius Hemphill groups of the 70′s and 80′s featuring Abdul Wadud, Ornette Coleman’s Prime Time, and the early 70′s explorations of Miles Davis’ electric bands. 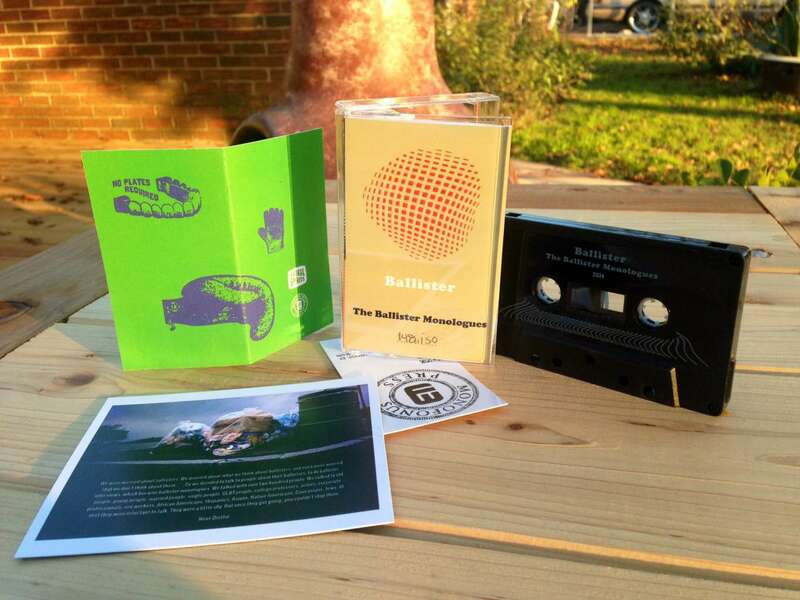 “The Ballister Monologues” is released in an edition of 150 tapes with digital download, December 2014.
Review by Tim Niland for MUSIC AND MORE BLOG. Review by Martin Schray for FREE JAZZ BLOG. Picked by Scott Scholz for his TOP TEN IMPROV ALBUMS OF 2014 at Words on Sounds.